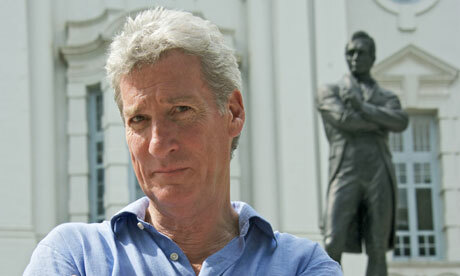 Most of the defenses against Paxman are of the sort anyone would see through if for the moment they stopped defending. No, there is not an either/or between writing like Jewel and writing like Zukofsky. Shakespeare wrote to entertain an audience and never sacrificed art. And, no, there is no dichotomy to be found between feeling and fathoming (just ask Szirtes). Do we feel “Let me not to the marriage of true minds” without meditating on it? Can we fathom “When in disgrace with fortune and men’s eyes” and not feel it? Shakespeare did not live in special times writing plays for his coterie (Kirsh) which spoke in dictionary-size lexicons, fluent pentameter, and grasped cultures of allusions. Homer taught his history to his audience, Virgil and Ovid taught their myths, and Millay went from abject poverty to abject wealth on the popularity of poems that rewrote the morals of her day. No, this reader-versus-poet issue arose when Ezra Pound mistakenly thought the meditative poetics that built haiku could also build an epic. Readers tried to tell him. Defenses of poetry are offered with reason, patient insight (see Adonis in Asymptote), or unbalanced fury (see Eyewear). These offer some key misunderstandings that could be corrected with a good undergraduate lecture. But a poet would be entirely justified in resenting how little a novelist need surrender to achieve both critical acclaim and an audience (Morrison, Roth, McCarthy, Atwood, Franzen) long after Joyce and Faulkner did their best to move prose into the lit department. Only poets are asked to choose between audience and respect. Contemporary poets write prose when it must be understood. Here’s a defense that will work: let’s call our readers names. Ignorant. I point outside and say “what’s that?” The answer comes back “a tree?” “No.” “Grass… Clouds… cars…?” “No… no… no…” It is a window. What is this? A love poem? A death poem? No. It is a poem. Readers should know that appreciating a work of art in the medium of words is like looking at the world through a stained-glass window. What you see is not your world. It is my poem. Some poets build cathedrals of enigmas to fascinate their colleagues and draw the scholars’ analysis. The effects are neat-o, so cool, very lol. But a stained glass window is not a saint, and a poem is not a declaration, an artist who hopes to create works that are not shallow will concede the image of a saint adds narrative and philosophical power to those colored and shaped shards. Why must poets accept the impotence of effects shorn of meaning? Well, maybe, as Adonis suggests, we just no longer share those meanings. Religious certainty is no longer a feature of our culture. As such, our poets have turned away from shaping our common beliefs into forms, and turning to expressing their own scattered minds and obfuscated gasps of theory. I can’t help but think Adonis is flattering the Moderns. Culture never had any more certainty than the Nazis, Communists, Militarists, Fundamentalists and Fox News viewers do now. Followers always followed and the leaders never knew where to go – but pretended they did. Only Democracy’s tendency to ask artists to voice opinions and participate is new and how strange that just now so many poets find they have no opinions they need understood. Poor Paxman. An educated amateur could judge a fiction contest and raise no eyebrows. But someone who is a reader only, not a poet at all, has no right to judge poets’ contests. Yet someone made him the judge and there he is in the press, grasping desperately for a suggestion (assumably ironic?) to correct how very wrong we’ve gone. Someone out there in contest land is under the impression that poetry is not an academic specialty. Someone handing out big prizes to poets seems to think poets should give something to readers. The television-watcher is hopeless. Those regressed to comic book films and young adult novels will have to be ignored. Only the future will understand the misunderstood geniuses of our day. Generations to come will have explained what is obscure and foreign to those living. If the genius speaks only to her friends, she dies with her friends. Emily Dickinson would have died with her friends were it not for those who read her prettified post-mortem publications. Only the mushier minds of the public saved her from the death of a charitable vanity press endeavor when, kept alive, her curious greeting cards aroused a critical faculty’s curiosity. I know all poets try and pride themselves on their success. But when a culture is wrong, those steeped in it will hear the great as trite and the trite as great. We are raised on common speech: the limited vocabulary of daily life, radio and television, with its easy information, entertainment, propaganda: precisely Paxman’s field. We are raised on prose: the expressions of blogs, sites, newspapers, magazines, fiction, memoirs. We are raised on song lyrics, pop songs, raps, with their direct and abstracted concepts. One day, usually in school as an aside, we are told about this intellectual stuff called “poetry.” Some discover the culture has kept our histories and much of our lives from us. The next common step is to become a poet, not a reader. The nascent poets then seek to express what strikes them as relevant, important, beautiful, true… so they write common speech, prose, and song lyrics; the language of their unpoetic, Philistine world. But anyone can speak commonly. Everyone does. And your blog, paper, spy novels and bodice rippers are in prose. One needn’t dig through confessions, rants, or poetic theories for that. And song lyrics are best with songs. One need not stop dancing to hear easy verse… Nothing is missed in missing poets’ speech, prose, and museless popular music. Some poets know something is missing: why can’t they reach their readers? They have given up all that once made poetry poetic – a different beauty from speech, prose, or popular songs – so like desperate actors who have forgotten all their lines, some of our poets perform the most bizarre verbal acrobatics to distinguish themselves from some of our poets who don’t distinguish themselves from common philistine culture. A sorry state, but nothing a few inquisitive readers could not fix, no? I should be able to come up with a few more names to call our failing readers, but fact has raised its head. The reader is under no obligation to read our poems. If we can’t be more something other and better, more enticing, more seductive, more necessary than TV, then we have no answer for our Torquemada, Paxman. Michael Odom is the author of Boredom, Vice and Poverty and the chapbook Strutting, Attracting, Snapping. He is seeking a publisher for his translations from Catalan of poems by Joan Maragall and Lluís Roda. Between 1989 until recently, he was a bookseller, manager, and buyer for both independent and chain bookstores. If you shopped for poetry at the Tower Books in Chico, CA, or Manhattan, in the early 1990s, you browsed the titles Michael Odom selected to have on sale in that store. The same is true in the final 7 years of A Clean Well-Lighted Place for Books in San Francisco (which went out of business before the unrelated journal of similar title began) and Windows on the World in the Sierra foothills. As a single father with bookstores closing all around, Michael pursued and recently received his MFA in Poetry from New England College.